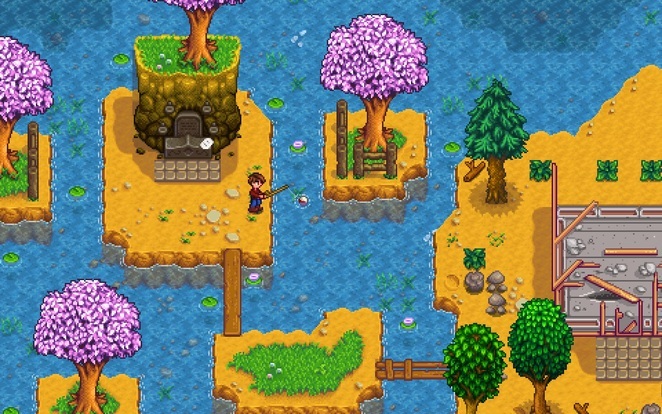 Stardew Valley is a game that will make you feel nostalgic for your childhood. This utterly charming farm simulation game hooks you with a simple premise. You take control of a character who leaves their office job and moves to Stardew Valley to take over their grandfather's abandoned farm. You will cut down trees, pull out weeds and trim the grass, design paddocks, build farm buildings, plant and tend to crops, raise and care for livestock, create artisan goods, mine for ore, explore mines, go fishing, do favours for people living in the town, attend social gatherings, earn in-game money, and find a romantic partner. The game is open-ended which means you can play for as long as you want. 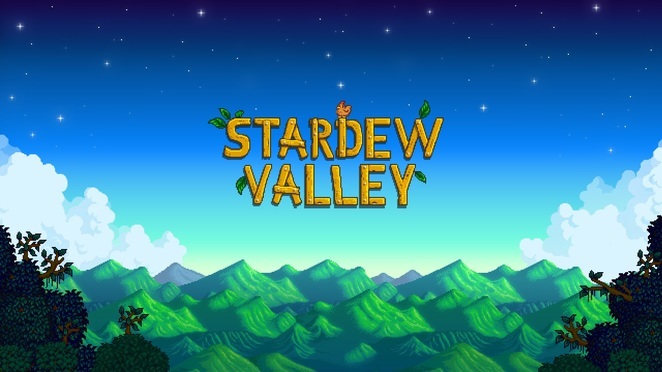 Stardew Valley is an indie game that was developed by Eric "ConcernedApe" Barone and published by Chucklefish. It was released in 2016 on Microsoft Windows, OS X, Linux, PlayStation 4, Xbox One and on Nintendo Switch in October 2017. Stardew Valley was inspired by the Harvest Moon and Story of Seasons video game series. Harvest Moon and Story of Seasons have the same premise as Stardew Valley. You inherit an old run-down farm and must turn it around so it begins making a profit. The first Harvest Moon game was released on the Super Nintendo in 1996. 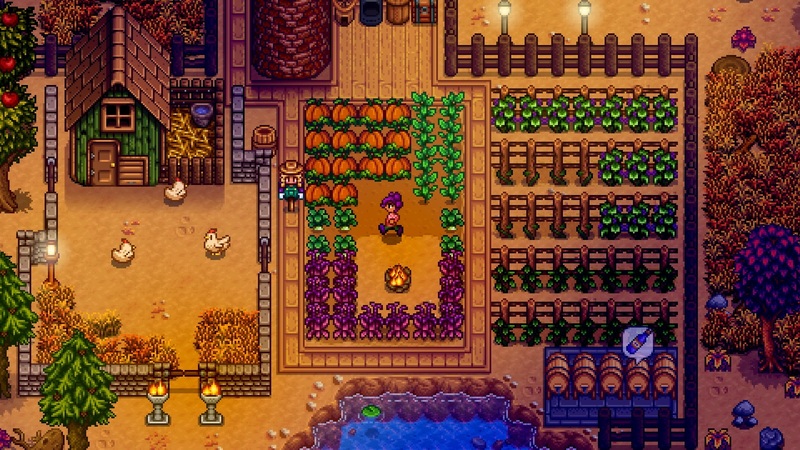 Stardew Valley uses colourful pixelated graphics and an art style that makes it look like a Super Nintendo game. This decision managed to snag the interest of a lot of millennial gamers who grew up playing the original Harvest Moon game back in the 90s either on their beloved SNES or original PlayStation. I never played the original Harvest Moon. I decided to take the plunge on Stardew Valley because its graphics reminded me of the Legend of Zelda: A Link to the Past. Pixel art was the norm back in the 1980s due to restrictions in hardware at the time. It has been re-claimed since then as a unique visual art style that has been used in several games to great effect. Eric "ConcernedApe" Barone was the sole developer, designer and programmer for Stardew Valley. The game went on to receive positive reviews from critics and sell over 3.5 million copies across all platforms. It was also the most downloaded game on the Nintendo Switch in 2017. Stardew Valley cost me $16.99 on the Nintendo e-shop. It didn't take me very long to become hooked. I've played a ton of different video games from Uncharted to Tomb Raider to Super Mario to the Legend of Zelda. What's fun about Stardew Valley is there is no skill involved. You won't have to sweat bullets trying to figure out how to solve a puzzle or how to clear a compound swarming with enemies. You wake up, you feed your chickens, you tend to your crops, you socialise with some people around town and then you go home and get into your bed and go to sleep. Stardew Valley is relaxing and very rewarding. When you wake up and see that your pumpkin crop has come in overnight and they're huge you can't help but grin like a loon. Stardew Valley is simple, fun and highly addictive. It is available as a digital download and in hard disk format. Digital copies range in price from $16.99 to $20.00 and hard copies range from $35.00 to $59.95. Why? Stardew Valley is a farm simulation role-playing game. You take over your grandfather’s old farm and must start from scratch to turn it into the farm of your dreams. 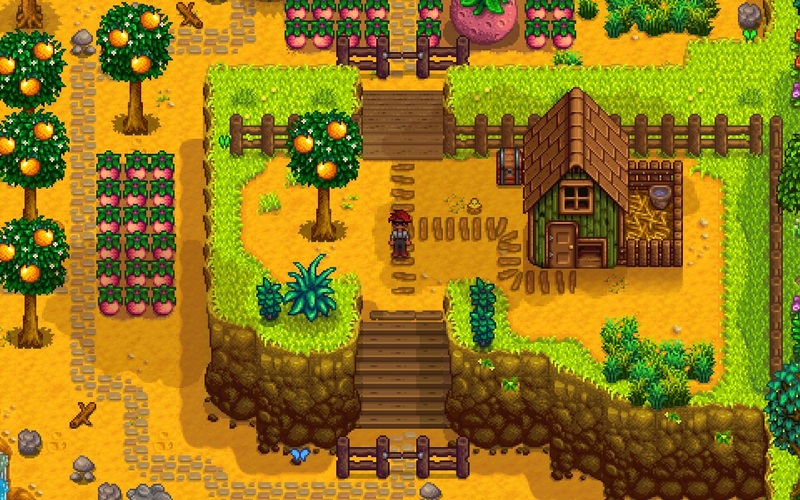 Where: Stardew Valley is available on Microsoft Windows, OS X, Linux, PlayStation 4, Xbox One, Nintendo Switch and the PlayStation Vita.